Browse and share YouTube.com movie clips. Is there a better alternative to TvTube? Is TvTube really the best app in Internet Utilities category? Will TvTube work good on macOS 10.13.4? TvTube allows you to browse UStream, YouTube, Google Video and Yahoo Videos, for movie clips that people upload, choose your favorite clips and add them to your shared library. Version 1.16: TvTube is now compatible with UStream.tv. 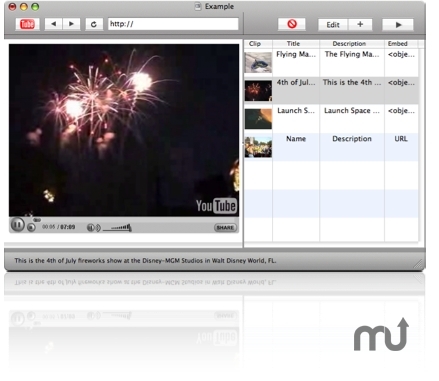 It's THE BEST WAY to save your ustream channels and watch LIVE from inside TvTube! Mac OS X 10.4 or later, YouTube.com free account. TvTube needs a rating. Be the first to rate this app and get the discussion started!